One Thing Leads to Another, will you find success when it does? The Venturist is the story of 1 man, 11 different business ventures, and the life-lessons he learned along the way. 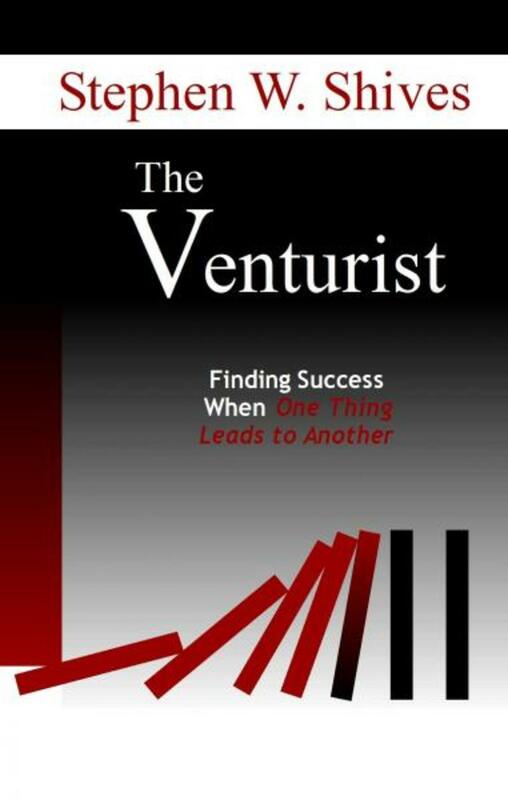 "The Venturist IS my story. The characters may be fictional, but the experiences made my life what it is today. I often tell people (when they ask what kind of work I do) that I've always made a living doing whatever I want to do at the time. That may be over-simplifying it a bit, but it is very true. Solomon once said in Ecclesiastes: "There is nothing better than a man enjoy his work, and the fruit it produces." I believe I have been blessed with the ability to do just that, and hopefully encourage others in the meantime." For a limited time, we are offering signed, hardcover 1st Editions of "The Venturist" for only $9.00 w/shipping, to celebrate the approach of our second printing. Makes a great gift and the proceeds continue to support world missions. In this modern tale of middle class struggles, Nolan Fletcher has tried it all in an effort to survive. Over the years, his efforts to pay the bills while trying to find his place in the world, have been a roller coaster of successes andfailures. Now, unemployed in an unstable economy, he feels like he's reached the end of his rope. With the help of family and friends, Nolan doesn't give up, but soon realizes that "One thing has always led to another" and the best is yet to come!